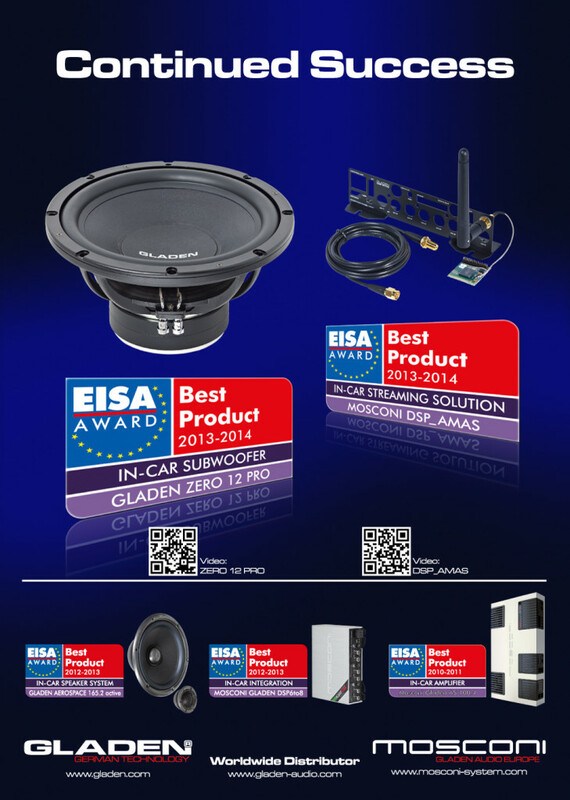 have been awarded by EISA panel with the prize BEST PRODUCT 2013/2014. The MOSCONI DSP_AMAS is an add-on module for the MOSCONI DSP 6to8 processor. It offers high bit rate, high quality audio music streaming capability to your DSP 6to8 equipped car audio system from any Bluetooth equipped music-streaming device such as a phone or tablet. Using A2DP protocol with EDR extension, audio of any file type (eg. FLAC, Ogg, Apple Lossless etc. 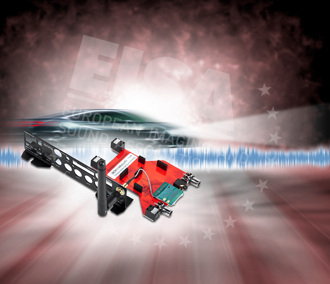 ), is transmitted straight into the digital signal path thus providing high quality interference-free sound. The MOSCONI DSP_AMAS when combined with the DSP 6to8 processor integrates easily into any factory system without sacrificing any of the car’s safety or comfort features. The GLADEN Zero 12 PRO is developed for sound quality from the beginning. 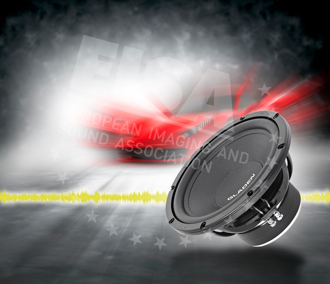 It is one of the few subwoofers in the market to feature a no-compromise design for sealed enclosures. Thus leading to optimised transient response resulting in sound quality beyond compare. A unique diaphragm technology featuring a sandwich of paper-foam-paper and a sophisticated motor structure made possible thanks to top-class engineering and manufacturing results in deep and accurate bass. Engineered and made in Germany, the GLADEN Zero 12 PRO will be enjoyed by in-car audiophiles all over the world!